What should you expect in a Free Estimate? 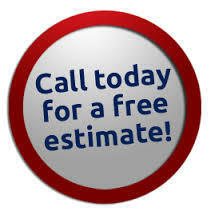 “We offer free estimates!” “Call us for your no obligation home consultation!” These are words commonly seen in advertising or marketing for companies that deal in home services, renovations being no exception. 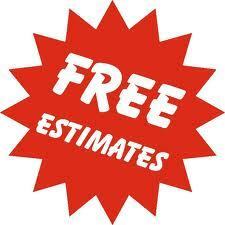 It’s accepted that free estimates are a cost of doing business and that cost is recovered in the pricing of projects. However, not everything about developing a cost on a project is free. Here are things you should expect to get with your free estimate and things that may be extras. Expect a scope of work and a cost. Simply put, for most projects, you can expect a scope of work: what the contractor says they are going to do, and how much they will charge for that service. With smaller sub-trade projects, such as replacing windows or refinishing your hard wood floors, costing these out is typically easier that larger, more complex projects. You can usually expect the cost to be fairly accurate, unless there are unforeseen circumstances that would not be apparent at the time of estimation. For larger, more complex projects, such as a kitchen or bathroom renovation, your estimate should still include a scope of work, but the costs may be based on an allowance, or, in some cases, an average. Often, a contractor might not know which specific products are going into a project, so they choose a figure based on past experience. The cost of the project then becomes a ballpark figure that may go up or down depending on your specific product choices. With most contractors, it’s often understood that any sketches (such as a kitchen layout) developed to produce an estimate are the property of the contractor. This usually means that they won’t leave you with any copies unless you are willing to pay for them. Why are you not allowed to keep them? In some cases, sketches given to the client by one contractor find themselves in the hands of the other contractors bidding on the project. No one likes giving freebies to the competition. Detailed drawings, such as those used for building and development permits, are pretty much always an extra expense because they take a lot of time to develop. 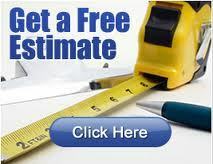 If you’re interested in a great renovation experience and a fantastic finished product (which I hope most of you are), then free estimates are not the first thing on the list of qualities you should be looking for in a contractor. Instead, you should be looking for a contractor who is a good fit for your project; someone who has the skill, experience, and qualifications to do the job. In short, an estimate is exactly that: an estimate of what your project costs. You should ask yourself how much value you place on something given for free.